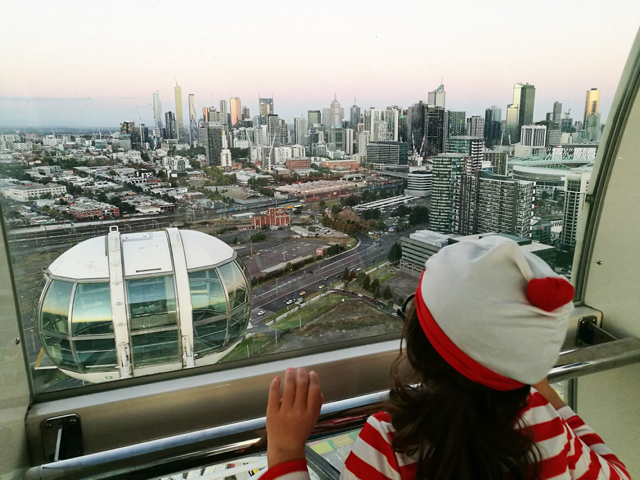 Wally and Wenda needed a better view to see all the Where's Wally fun at District Docklands so we jumped into a pod on the Melbourne Star Observation Wheel. A flight on the Melbourne Star takes appropriately half an hour and you get wonderful views over Melbourne and beyond. With the help of the map provided and the commentary you can walk around the cabin and find all the landmarks you know and see some new sights too. There is also a seat in the centre of the cabin so you can just kick back, as Wally did, and let the Star bring the view to you. 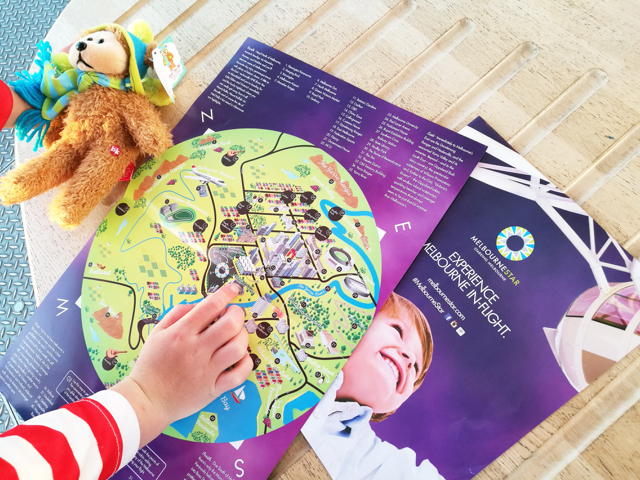 The Melbourne Star is fully accessible and you can bring your wheels on board (wheelchairs and prams with under ones). These school holidays kids fly for free with paying adults which certainly helps the holiday budget! 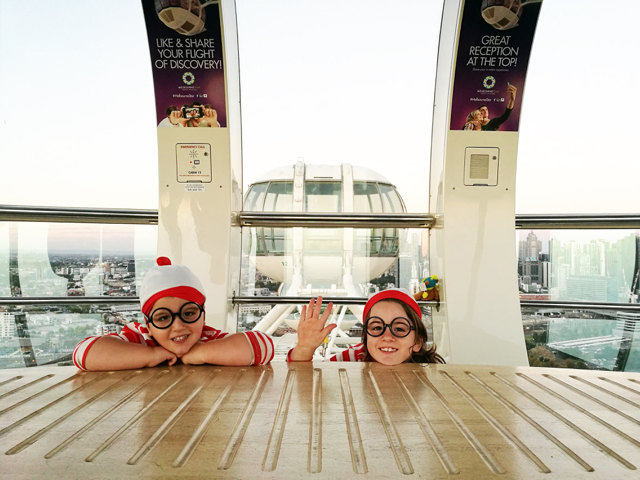 While you are in District Docklands make sure you check out all the Where's Wally fun, there are statues throughout the centre, a happiness hunt with prizes to win, craft stations and murals. It's all FREE and will be on until this Sunday 15th of April. Busy City Kids were invited to ride the Melbourne Star for the purposes of a review. All opinions & feedback are genuine & truthful. Travel and fee paying activities were self funded. Thanks Kel! For more information on the Melbourne Star Observation Wheel head to the Melbourne Star's website.